Above you will find links to view images by Midwestern Artist Sue Skowronski. Her paintings depict the beauty that surrounds us, but is often overlooked. Sue Skowronski received her formal art training at The American Academy of Art in Chicago, Illinois. She works primarily in oils. 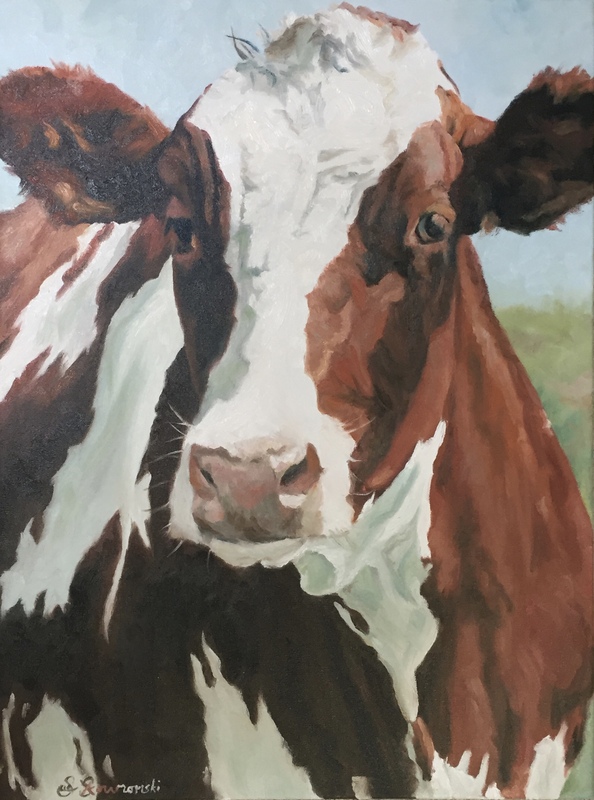 Some of her favorite subjects are the rural landscapes of the midwest and of course, cows. Prices listed on this website are as of 2/19 and do not include applicable sales tax and/or possible shipping. Prices are subject to change. Contact info: sue@sueskowronskifineart.com. All material contained herin is protected by copyright. Any reproduction of this site's contents for any purposes is prohibited by law.